The management of natural resources is a subject that often arises when sustainable development is considered. Wood is a renewable, biological raw material used in numerous applications and is therefore growing in importance for sustainable development efforts. 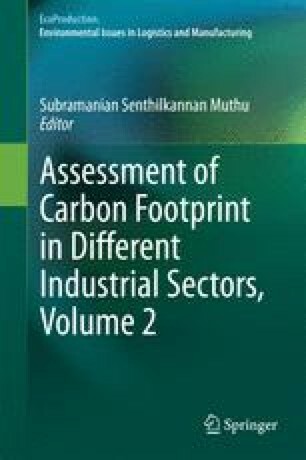 This chapter presents the applicability of carbon footprinting in the wood industry by comparing the carbon footprint of 14 primary wood products: air-dried and kiln-dried softwood and hardwood sawn timber, hard fiberboard, glued laminated timber for indoor and outdoor use, medium-density fiber board, oriented strand board, particleboard for indoor and outdoor use, plywood for indoor and outdoor use, and wood pellets. Furthermore, the use of timber products for the purposes of carbon storage and the effect of allocation methods on carbon footprinting are discussed. Additionally, the European policy strategies and actions directly impacting the forest products industry are discussed in relation to primary wood products. Also, wood as a building material and its placement in green building programs are considered. Andreja Kutnar would like to acknowledge the Slovenian Research Agency for financial support within the frame of the project Z4-5520.